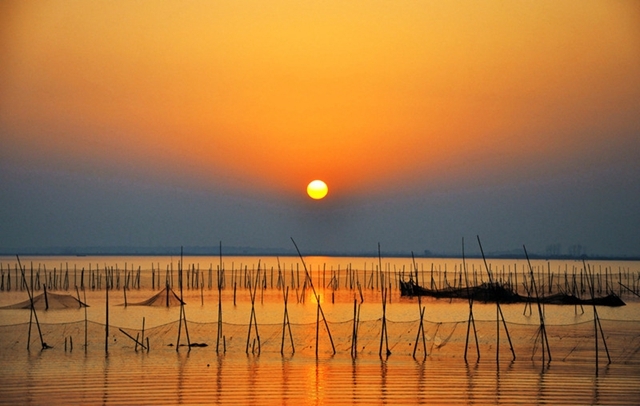 As the famous Chinese fresh water lake, second only to the Poyang Lake in Jiangxi Province, the Dongting Lake spreads wide on an area of 1,300 square kilometers. 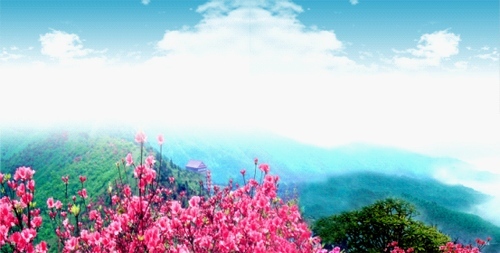 According to geologists, the lake area used to be part of an ancient anticline in south of the Yangtze River, but fell in a rupture during the movement of the Mount Yangshan 70 million years ago and became a lake. Dongting Lake is composed of East Dongting, South Dongting and West Dongting. In ancient times, East Dongting Lake was a part of Yunmeng Pool. The East Dongting Lake Nature Reserve is one of China's 30 important wetlands in the Ramsar Convention on Wetlands. 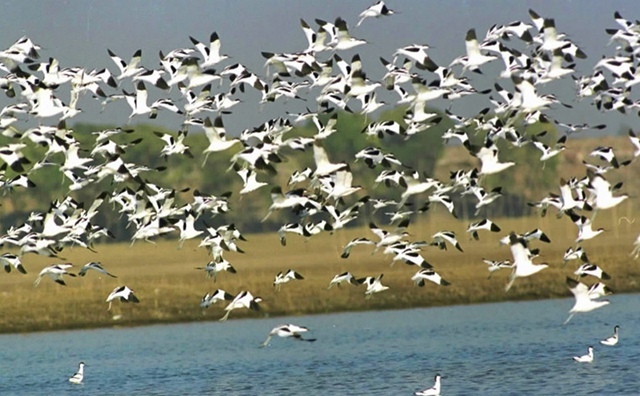 Every year, 217 species of migratory birds under state protection live through the winter here, such as white storks, white cranes, grey cranes and egrets. 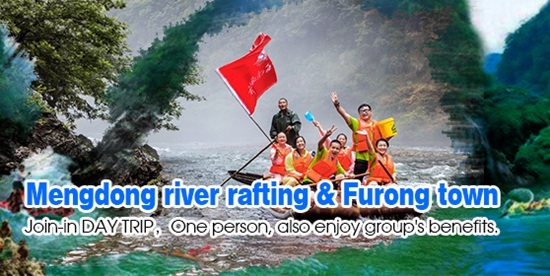 It will be a great fun if tourists take a boat tour in the lake, observe birds, listen to the waves, go fishing and taste delicious fish dishes in the nature reserve. 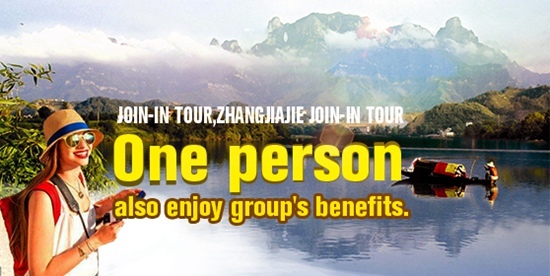 The Sanjiangkou Estuary (the confluence of Xiangjiang River, Yanjiang River, Jingjiang River) is another tourist attraction in Dongting Lake, where the lake meets the Yangtze River. As the lake's water is clear while the water from the river is turbid, the clear-cut currents were called by the ancients as "River Meeting"-a fantastic sight rarely seen elsewhere. To expedite the transportation between Hunan and Hubei provinces, in recent years, the government has built Yueyang Bridge on the Dongting Lake-the longest highway bridge in China. 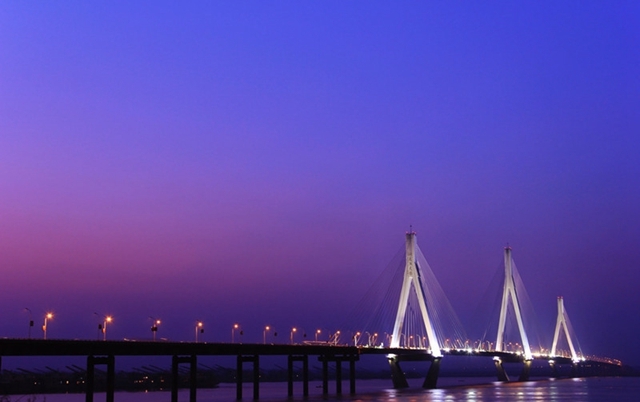 Spanning over East Dongting Lake, the bridge is 10, 174.2 meters long, and is the first bridge with three main towers suspended with double-cable support in China. In addition to relieving traffic pressure, the bridge provides an express thoroughfare to facilitate emergent transportation of goods for floor control. 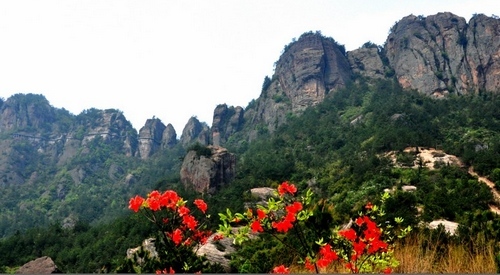 Situated at Pingjiang County, Yueyang, Hunan, the Shiniu Village National Geo-park is the biggest among all the newly-discovered Danxia landform in China. The Danxia landform refers to various landscapes found in southeast and southwest China that “consist of a red bed characterized by steep cliffs”. It is a unique type of petrographic geomorphology found in China. Danxia landform is formed from red-colored sandstones and conglomerates of largely Cretaceous age. 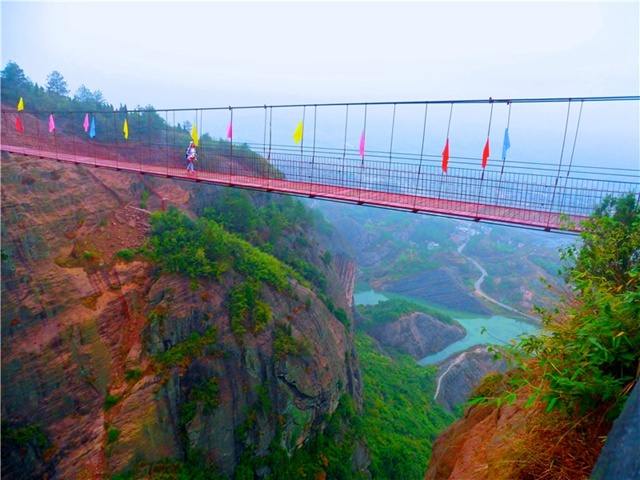 Shiniu village scenic area lies at the cross of Hunan, Sichuan and Jiangxi Province, which is 65 kilometers away from Changsha.It has a height of 523 meters and stretches over 10 square kilometers. 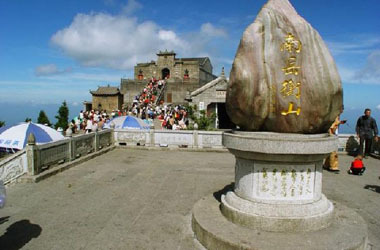 Because there stands a huge stone that resembles a yellow cow to the west in the area, the place is also called Shiniuzhai (In Chinese, Shi means stone; niu means cow; zhai means stockade). In 2011, the geo-park was authorized as a national geo-park.It is a representative park renowned for five kilometers precipice and 50 kilometers Danxia landform and an old stockaded village which is about a thousand year old. The geo-park owns beautiful and charming sights. It is a world made up of strange stones, unusual mountains and stone caves, different in thousands of ways, fantastic and breath-taking. With a rugged and steep geographical position, some people would call Shiniu Village as the “little Mount Hua” - Mount Hua is a very famous scenic spot in Shannxi, China. Besides, it is tinted with mystery with light red tops and dark brown cliffs. Landscape spots: Baling landscape (including Yueyang Tower, Junshan Island, Memorial Temple of Qu Yuan and Zhang Guying Folk Custom Village) For More Yueyang,formerly knowns as Baling or Yuezhou, is a historic and cultural city with a long history of more than 2,500 years. Located at the northeast of Hunan Province, neighboring Jiangxi Province in the east and Hubei Province in the north, Yueyang was a hinterland of military importance during the past dynasties. Nowadays, renowned for so many historic interests, Yueyang is ranked as one of the China\\\'s Top Tourism Destination Cities.Yueyang\\\'s real charm rests with human cultural relics as well as the natural landscape.Yueyang City\\\'s attractions includies Yueyang Tower, Junshan Isle, Memorial Temple of Qu Yuan and Zhang Guying Folk Custom Village. 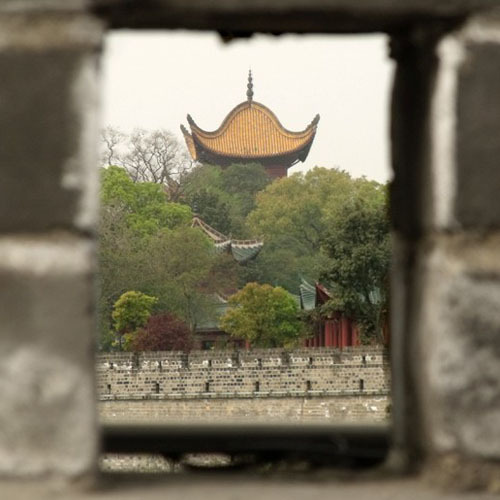 AttractionsYueyang Tower(Yueyang Lou) Located on the west city wall, the Yueyang Tower is one of three famous towers in South China, the other two being the Yellow Crane Tower in Wuchang and the Prince Teng Pavillion in Nanching. The predecessor of Yueyang Tower was a structure built during the Three Kingdoms period (220 -280 AD) for reviewing military parades. In the fifth year of Emperor Qingli\\\'s reign of the Song Dynasty (716), it was rebuilt, and famous Song Dynasty essay writer Fan Zhongyan(范仲淹) wrote his famous essay \\\"Notes on Yueyang Tower\\\", which was considered matchless in literary beauty and profound thought. Yueyang Tower stands close to Dongting Lake, facing Junshan Isle with the city behind. The main tower, 19 meters high, is a three-story structure supported by four pillars and made of pure wood and upturned eaves. 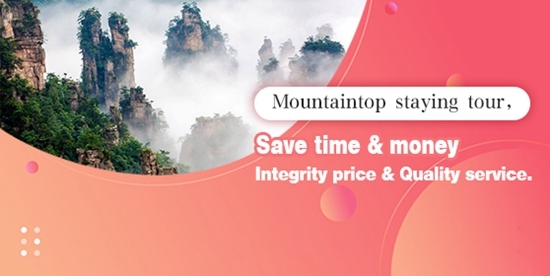 Especially noteworthy is the tower top which resembles a helmet used by warriors in ancient times, a real rarity in the history of ancient Chinese architecture. The structure is a unique combination of artistic tastes, mechanics, architecture, and craftsmanship. The Tower affords a spectacular view of Dongting Lake. Name:Yueyang Yueyang Tower(Yueyang Lou)City:YueyangAddress: on the west city wallAdmission:CNY 46 for adults & CNY 25 for kidsHours:8:00-16:00 Tel:0086-730-8311676 Junshan Isle Junshan Isle is the most famous island in Dongting Lake. It consists of 72 hilllocks, covering an area of 0.96 km2 and rising only 55 meters above sea level. There are many scenic spots and places of historic interest, and many touching fairy tales are told about the island. 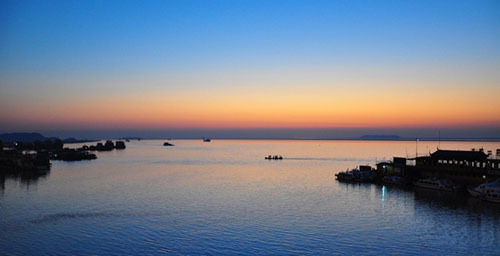 As the old saying goes, \\\"the water in the Dongting Lake and Junshan in it are viewed as green from the distance. The island resembles a green snail in a silvery plate.\\\" This line was used by ancient people to describe the beautiful scenery of Junshan. The islet, small enough, used to be crowned with as many as 36 pavilions and 48 temples, which were mostly in ruins at the time of liberation. Since the park was established in 1979, many historic sites have been renovated.The Tomb of TWO Concubines is enveloped in a moving story. Legend has it that the two beauties buried here were daughters of Emperor Yao, a mighty trial leader at the end of the primitive society. When Shun succeeded their father, they were married to him as imperial concubines. 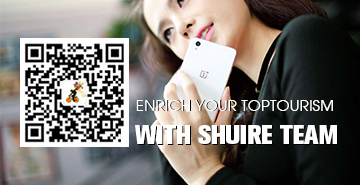 Unfortunately, Shun died a sudden death when he went the rounds in present-day Ningyuan County of Hunan. The two concubines heard of his death and were heart-broken. At last, they died of grif. To commemorate them, people built the tomb in the east of islet and renovated it dozens of times. Name:Yueyang Junshan Isle (Junshan Dao)City:Junshan county in Yueyang cityAdmission: CNY 60Transport: No.15 sightseeing bus goes from Yueyang Railway Station to the Junshan Scenic Area for 40 minutes & 5 yuanTel: (86)730-8159311Memorial Temple of Qu Yuan Memorial Temple of Qu Yuan is a tourist attraction especially sacred to literary men .It was built on a hill by the Miluo River in memory of Qu Yuan(340BC-278BC), a great patriotic poet and upright stateman of the State of Chu during the Warring States Period(475BC-221BC) .He was exiled late in his life to present-day Miluo. Though in disfavor, he was especially concerned about the fate of his mother-land and had his patriotic feelings crystallized in his collections of poems. At the news of the subjugation of his mother-land by the state of Qin, he was plunged into grief and despair, and, clasping a big stone in his arms, he drowned himself in the Miluo River.The temple is on the Yusishan Mountain in Miluo of Yueyang. Covering an area of 7.8 acres on top of a woody hill by the Miluo River, dates back to 1756. It was surrounded by a grey brick wall and shadowed by old phoenix trees. The front gate is guarded by eight stone divine lions, and the archway is decorated with sixteen painting the life of Qu Yuan here. The main hall is a large structure of wood and brick with a single- eaved roof that covered with yellow glazed tiles. Poetry and proses grieving the death of Qu Yuan are inscribed on the four stone walls. In the front hall is a huge wooden board inscribed with The Biography of Qu Yuan by Sima Qian. 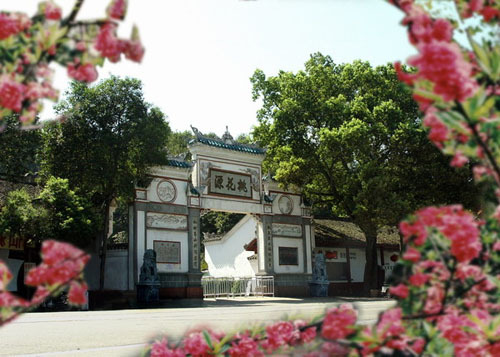 Name: Memorial Temple of Qu Yuan(Quzi Ci)City:Miluo in Yueyang cityAdmission: CNY 15Transport: From Yueyang city by train to the Miluo railway station or by coach direct to Miluo city then take a bus to reach Memorial Temple of QuYuan directly. 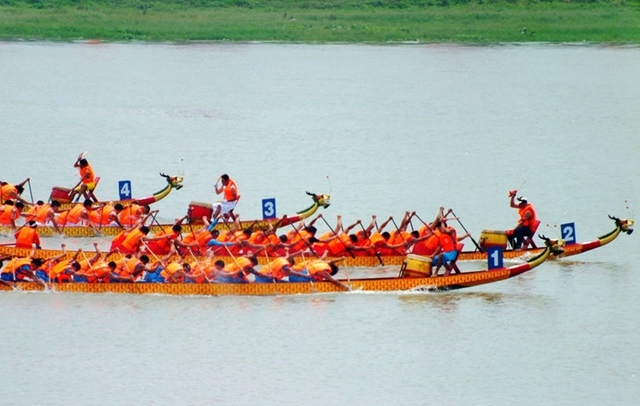 Zhang Guying Folk Custom Village Zhang Guying Folk Custom Village is located in Yueyang. This is a group of building connected by a big family. With the expanding of the family, the whole building was expanded too. The group building is still in good conditions despite being through so many years. Its sewing system is very advanced which gains the interest from many architects. 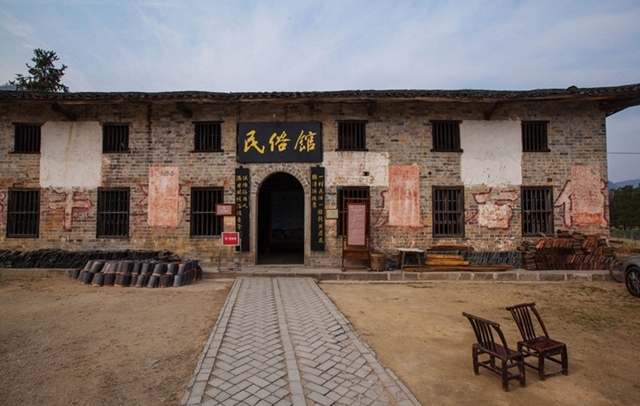 Name:Yueyang Zhang Guying Folk Custom Village (Zhang Guying Cun)City:YueyangAddress: Yueyang county in Yueyang cityAdmission: CNY60Hours: 8:00-18:00Tel:0086-730-8311676Transport:Every day there is a bus to Zhang Guying Village in eastern bus station of Changsha, its departure time is at 1:50 pm, full fare 20 yuan.Transportation from Changsha to YueyangIn Yueyang, tourists need no worries in regard to transportation. 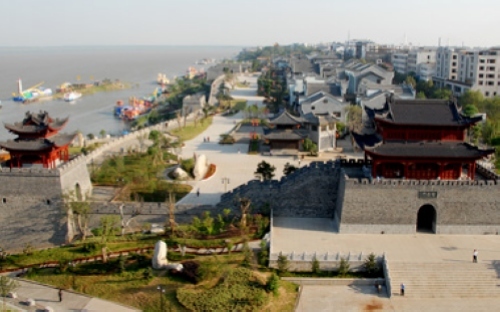 Tourists can reach Changsha Huanghua International Airport which is only 130 kilometers (80.78 miles) from Yueyang and takes about one hour\\\'s ride on the high-speed motorway to Yueyang. The high-speed motorway system for road transportation has been long established in Yueyang and radiates in all directions. Transportation by water is also convenient in Yueyang because Yueyang is the only port in Hunan Province which is beside the Yangtze River.